Timothy Kamp, MD, PhD (pictured at upper right), professor and Dr. Herman and Ailene Tuchman Chair in Clinical Cardiology, Cardiovascular Medicine, is among UW-Madison members involved in a new $20M cell-based therapy center funded by the National Science Foundation. The NSF Engineering Research Center for Cell Manufacturing Technologies (CMaT) uses a "cells as drugs" approach to find ways to confer therapeutic properties to living, laboratory-grown cells by altering how they are grown, stored, or otherwise manipulated. The center will develop tools and technologies for consistent, scalable and low-cost production of high-quality living therapeutic cells used to treat currently incurable chronic diseases. Georgia Institute of Technology will lead the virtual center, which will fund research and programs in existing laboratories and infrastructure. UW-Madison will be a major partner. Other partners include the University of Georgia and the University of Puerto Rico. Sean Palecek, PhD, Milton J. and A. Maude Shoemaker Professor, UW-Madison College of Engineering, will serve as associate director for research of CMaT. 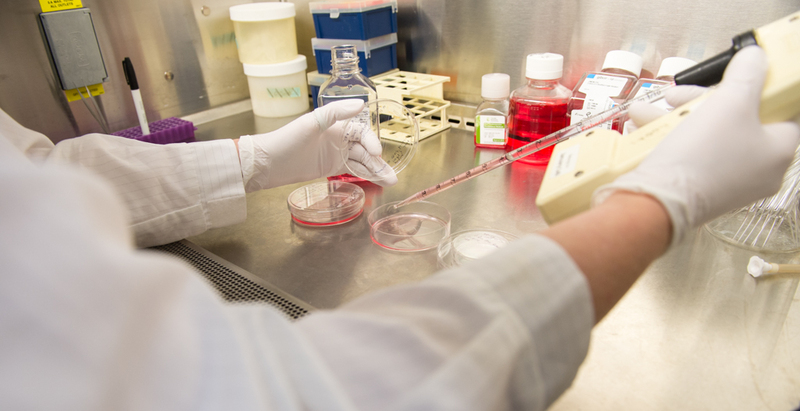 The new center will rely on the combined expertise of UW–Madison’s Stem Cell and Regenerative Medicine Center, which is co-directed by Dr. Kamp and William Murphy, PhD, Harvey D. Spangler Professor & H.I. Romnes Faculty Fellow, UW-Madison College of Engineering. Additionally, CMaT will tap into the resources of Waisman Biomanufacturing, a cell and gene product development facility at UW–Madison’s Waisman Center. Cell-based therapy hold promise for treating a variety of diseases, but is a still-emerging field. In July, 2017, the US Food and Drug Administration's Oncologic Drugs Advisory Committee endorsed the use of modified T cells as an immunotherapy for certain types of blood cancer. In addition to cancer, other potential areas include heart disease and autoimmune diseases and disorders.